Knit, create, design and let imaginations run wild with this Make Your Own Knitted Unicorn for kids! No mess with this knitting set. 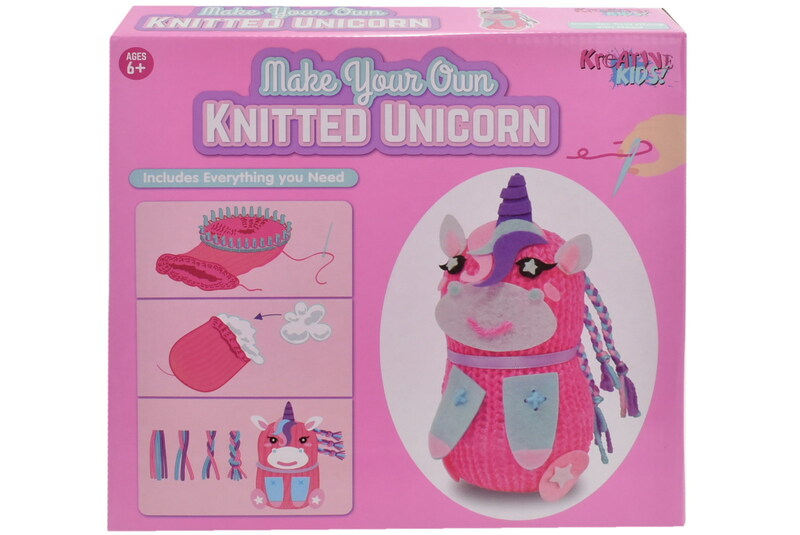 Each set comes with everything required to knit your own magical Unicorn! Perfect craft activity for kids!